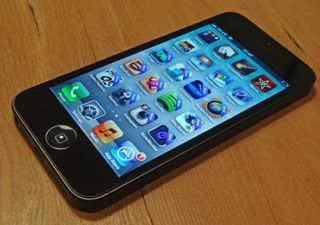 Apple to begin iPhone 5S and iPhone 6 production | What Hi-Fi? Apple is expected to begin production of a new iPhone this quarter, with either the iPhone 5S or iPhone 6 set for a summer release. The Wall Street Journal reports that a refreshed version of the iPhone, most likely the iPhone 5S, could be joined by a cheaper iPhone with a different casing. Rumours persist of a cheaper iPhone, potentially available in an array of colours, as Apple attempts to add a less premium phone to the iPhone family. Apple's iPhone has traditionally kept a premium position, ensuring huge profits for Apple despite an increasingly smaller market share as Android phones such as the Samsung Galaxy S4 and HTC One pull customers away from iPhones. However, Apple could yet attempt to broaden the market for the iPhone, as the company did with its iPod range - adding the iPod Nano and iPod Shuffle below the iPod Classic. Nobody seems to be sure whether the next iPhone will be the iPhone 5S or iPhone 6, though traditionally Apple has had added an 'S' model to its latest iPhone before jumping to the next incarnation. An iPhone 5S this summer, followed by an iPhone 6 at the end of the year, might just be the most likely schedule. Any new iPhone will almost certainly run iOS 7, which will be unveiled at WWDC in June, while it will also most likely have a 1080p full HD screen and 4G LTE support. The processor and camera will most likely be updated, too, while new features on the Galaxy S4 will no doubt force Apple to innovate itself. Rumours of an Apple streaming music service, 'iRadio', continue to swirl, so it could be that a new iPhone will launch alongside this new service.